1958 Helen Schucman, Ph.D., a clinical and research psychologist, accepts a position as Associate Professor of Medical Psychology at the College of Physicians and Surgeons, Columbia-Presbyterian Medical Center in New York City under William Thetford, PhD. When she met Bill for the first time, although she did not know why, she had the thought: “So this is the man I am supposed to help.”William Thetford, Ph.D., is Director of the Psychology Department at the Presbyterian Hospital in New York City and tenured Professor of Medical Psychology, Columbia University’s College of Physicians and Surgeons.Dr. Thetford becomes Helen’s trusted friend and colleague, and assisted Dr. Schucman throughout the Course’s scribing, including the events that led up to it. He not only acted as transcriber throughout the entire process by typing the material from the scribed notes that Dr. Schucman had taken down but was a tremendous psychological support to Helen as she struggled with her feelings of imposition and her basic mistrust of the process. Summer 1965 A dramatic progression of waking dreams for Schucman ensues, culminating with her experiencing a Voice which speaks clearly in her mind. The Voice, which Helen references with a capital “V”, explains to her the visions she has been receiving. October 1965 One day in October 1965, Helen heard the Voice say: “This is a course in miracles; please take notes.”With Thetford’s support and assistance in transcribing her shorthand notes, Schucman takes down, over several years, some 1,500 typewritten pages which becomes A Course in Miracles. 1969 A lengthy process of retyping the Course begins. Bill Thetford is adamant that no changes be made other than correcting the typing errors and removing specifically personal material. Jesus designates Bill to be the one in charge of all changes. At least one copy is given to Fr. Benedict Groeshel, CFR, (Also known as “Father Michael”), a graduate student of Helen and Bill’s. Spring 1972 Dictation of the third volume, Manual for Teachers, begins. September 1972 The retyping of the text is completed. The transcribing of the third and final volume, the Manual for Teachers, is completed. Fall 1972 In the months following the completion of A Course in Miracles in 1972, at least four people are given allegedly unrestricted copies: Cal Thatcher, a close friend of Helen’s; Fr. 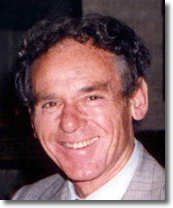 Benedict Groeshel, CFR, student of Helen’s; Hugh Lynn Cayce, son of psychic Edgar Cayce and Kenneth Wapnick, a clinical psychologist, who had recently converted to Catholicism and is informed of Bill and Helen through Father Groeshel. November 1972 Helen and Bill meet Ken Wapnick for the first time. He leaves shortly afterward for Israel to spend some quiet time before entering the monastery. May 1973 Ken Wapnick returns from Israel, meets with Helen and asks to see Helen’s manuscript. Fall 1973 Ken requests permission from Helen to re-edit the Course.During the editing: 25% of the first 5 chapters is deleted; paragraphs are rearranged; chapter and section titles, previously inserted by Bill and Helen during their re-typing, are changed; punctuation is changed; CAPITALIZATION, previously included for emphasis, is changed to lower case and, in only a few cases, replaced with italics.The 53 miracle principles are changed to 50. Descriptions of the miracle principles are re-arranged and in some cases obtained from other areas of the text. 127 references to “Soul” are changed to 12. The word “Soul” is either deleted or changed to another word such as: creations, you, spirit. Spring 1975 Helen, Bill and Ken meet Judy Skutch, president of the Foundation for Parasensory Investigation, during a meeti ng which has been previously arranged to discuss holistic healing. Judy is shown the newly revised “Course in Miracles”. Summer 1975 Judy Skutch receives permission from Helen and Bill to share copies of the Course with close friends. Judy gives copies to several close friends, among them are Jerry Jampolsky and Jim Bolen. Fall 1975 The Foundation for Parasensory Investigation changes its name to the Foundation for Inner Peace. September 1975 Criswell Edition is printed and distributed. October 1975 Application for a copyright is made. FIP intends to register the copyright with “Jesus” as the author. When informed that a copyright could not legally be granted to a non-physical author, FIP does not list the name of Jesus, but instead lists “Anonymous (Helen Schucman)”. December 1975 Copyright is granted. June 1976 First Edition abridgment is printed. February 1981. Helen Schucman passes away from pancreatic cancer in New York City. 1985 Second Edition is published. September 1991 FIP gave permission to author Marianne Williamson on September 10, 1991 to use 1,000 “Fair Use” words. December 1992 FACIM explains, in their “Lighthouse” newsletter, why the Course was copyrighted and why they are enforcing the copyright so stridently. They admit they were forced to disavow Jesus as the author in order to obtain the copyright. November 1993 FIP registered a trademark/service mark for “A Course in Miracles” and a trademark for the initials “ACIM”. September 1994 CompuServe is forced by FACIM attorneys to close “Course in Miracles” Forum on CompuServe (CIS) due to Trademark Violation. Letter issued to all Course students from RajPur. December 1995 A publishing agreement between FIP and Viking Penguin, A Division of Penguin Books USA, Inc., is reached. March 1996 Penguin pays the Foundation for Inner Peace a royalty advancement of $3 million dollars for exclusive use of the copyright. April 1996 New christian Church of Full Endeavor (Church) receives a cease and desist letter from Penguin. June 1996 Penguin Books USA, with the approval of President Judy Skutch-Whitson of the Foundation (FIP) and Kenneth Wapnick, Executive Committee member, brought a copyright infringement lawsuit against the New Christian Church of Full Endeavor (Church) , its ministerial teaching arm, alleging violations of the copyright on “A Course in Miracles”. The lawsuit asked for over 1 Million Dollars in damages. The copyright was allegedly owned by the Foundation for Inner Peace, Inc. and licensed to Penguin Books USA. Church asserts the copyright has been invalid from the beginning (Void ab Initio). May 1998 FIP joins in Penguin suit against Church as a second co-plaintiff and an additional trademark damages of 4 Million Dollars is claimed. The new complaint makes no mention of authorship, as plaintiffs assert only that FIP is sole “proprietor” of the copyright.In this Second Complaint, Church is charged with three additional counts of Trademark infringement for its use of the Foundation’s trademarks, “A Course In Miracles” and “ACIM”. The amended Complaint alleges that the Foundation had incurred “irreparable injury” by such use; that Church is attempting to “pass off its writings as if authorized by the Foundation; that Church’s publications are “falsely designated as originating from or connected with the Foundation”; and that they “tarnished” and “blurred the identifying function of the marks”. The new Complaint requests total monetary damages of $4 million plus treble damages; attorney’s fees, etc. September 1998 As of September 1998 and, following New York State approval *effective February 1999*, the Foundation transfers its copyright and trademarks in A Course in Miracles to the Foundation for ‘A Course in Miracles’ (FACIM). November 1998 FIP moves the Court for a “Protective Order” limiting the manner and method by which Endeavor is permitted access to certain “Confidential Documents”, including the original manuscripts and transcriptions of A Course In Miracles, as sought in Church’s Request to the Foundation for Production of Documents.The Court holds that Church would be permitted access to such “Confidential” documents in New York City, rather than Roscoe, N.Y., with the Foundation to bear Church’s travel and lodging costs while in New York to inspect the documents. March 1999 In Judy Skutch’s sworn deposition (pg 51), Judy disavows co-authorship of the December 1992 “Lighthouse Pg1” Pg 2 and Pg 3 article, co-authored with Ken Wapnick, in which they claim the Copyright Office told them they couldn’t copyright a “divinely authored” document. March 1999 In Ken Wapnick’s sworn deposition (pg 54), Ken claims “it’s another Jesus”.Q: Are we talking about the biblical Jesus or is there a different Jesus that we may be talking about?A: It was a different Jesus. March 1999 Over a year later, after the copyright was transferred to FACIM, Robert Perry is denied permission to publish his book, with no explanation. April 1999 “Anonymous Correspondent Service” begins when an Anonymous person starts to send warning letters via email to hundreds of groups and individuals, ranging from operators of internet mailing lists to Unity Churches. The letters threaten legal repercussions if the infringement activity does not cease. July 1999 FIP files its Third Amended Complaint, adding as an additional plaintiff, The Foundation for ‘A Course in Miracles’ (FACIM). July 1999 The Circle of Atonement (COA) receives a cease and desist letter from FACIM’s lawyers, demanding that they stop distributing most of their materials. Efforts to dialogue with Ken Wapnick publicly and to discuss the matter with him privately failed. Ken asked that the COA stop exchanging letters. August 1999 Circle of Atonement files a legal complaint for declaratory relief against FACIM and the FIP, the current and original copyright holders for A Course in Miracles, and also Penguin Books, the publisher of A Course in Miracles. Perry’s motion did NOT call for the cancellation of the Course copyright and trademarks. September 1999 FIP and FACIM answer complaint. Deny the idea that the Course contains the words of Jesus, is a divine revelation, or is a modern day scripture. Helen Schucman is described as the author of the Course, not its scribe, and Jesus is not mentioned as having a role in the origin of the Course.In a counterclaim, the FIP/FACIM cites 52 infringing works published by COA, and asks for damages ranging from $1 million to $5 million. Ryan Rothgeb is sued by FIP/FACIM for $450,000. December 1999 FACIM files a Motion for Partial Summary Judgment (Copyright only). January 2000 A copy of the text portion of the manuscript is obtained from the library of the Association for Research and Enlightenment (A.R.E.) in Virginia Beach, VA sometime previous to this month. An Electronic copy of the 1972 edition of text portion of the Course in Miracles, located in the A.R.E. library, appears on the internet in January, 2000. Incorporation of the Course in Miracles Society (CIMS), a Nebraska, U.S.A., not for profit organization. March 2000 Course in Miracles Society (CIMS) publishes the text portion of the 1972 edition of the Course in Miracles, obtained from the internet, titled “Jesus’ Course in Miracles”, along with a side-by-side comparison (also obtained from the internet) between this early edition and the current 2nd edition. April 2000 Negotiated settlement between COA and FIP/FACIM takes place in San Francisco on April 24 and April 25, 2000. April 2000 April 3, 2000, CIMS files a declaratory judgment action for a declaration of invalidity, non-infringement and unenforceability of the ACIM copyright, against FIP/FACIM in the U.S. District Court of Nebraska. April 2000 April 7, 2000, FIP/FACIM obtained a Temporary Restraining Order, restraining CIMS “from directly or indirectly infringing any of the copyrights in A Course in Miracles (or any version or portion thereof), in any manner, including, without limitation, by printing, creating electronic versions of, posting copies on the Internet, otherwise reproducing, creating derivative works (including translations), displaying, manufacturing, printing, reprinting, publishing, vending, taking orders, distributing, gifting, transferring, selling, licensing, promoting, advertising, or otherwise exploiting any infringing copies of A Course in Miracles (or any version or portion thereof), or by causing or participating in any such acts”. 3) Publishing [distributing copies of the Course] without copyright notice prior to filing for copyright. May 2000 May 17, 2000, U.S. District Court in Nebraska hears CIMS motion to enjoin FACIM from proceeding with suit in Kentucky and FACIM’s motion to either dismiss the case or transfer venue to Kentucky. CIMS motion to enjoin FACIM from proceeding with suit was denied. Venue was transferred to Kentucky. CIMS motion to postpone July 18th hearing is accepted. June 2000 Joe Jesseph admits in mea culpa email to being the notorious FACIM correspondent. June 2000 FACIM serves a motion for preliminary injunction papers on Church on June 14, 2000, asking for a hearing on June 21, 2000 to enjoin Church from any new website activities, particularly with respect to the Hugh Lynn Cayce version which had begun appearing on the internet in January of 1999, pending the courts’ decision on the parties’ motion for summary judgment.The Judge denied Wapnick’s motion, saying a proper party was not before his Court, since Wapnick, who was not a party, individually claimed ownership in that version. The Court further said that if Wapnick could show an alleged assignment from him to FACIM, then he would give Church a further opportunity to respond.A week later, Wapnick’s attorneys produced an alleged “assignment” from Louis Schucman dated 1990 [nine years after Helen Schucman’s death] allegedly covering the 1972 HLC version, and an assignment from Wapnick, individually to FACIM dated in March, 2000.Church during a visit to the US Copyright Office, learned that the Hugh Lynn Cayce version had never been deposited in that office by Wapnick and was not a part of the 22 volumes filed by Wapnick for copyright in 1990. Thus, the Church’s response was again that there was still no party entitled to claim an infringement of any alleged copyright on the HLC version. July 2000 On July 21, 2000, Judge Sweet of the US Federal Court for the Southern District Court for New York denied BOTH motions of FACIM and of Church for summary judgment.The court found factual issues here regarding two of Church’s defenses: (1) whether or not the plaintiffs had distributed copies of the Course without copyright notice prior to the Course being filed for copyright (called legally” prior publication” and (2) whether FACIM has a valid trademark in the Title of A Course in Miracles. As quickly as web sites appear offering downloads, they are dismantled by efforts of the FIP/FACIM attorneys. September 2000 The Court on September 6, 2000 entered an Order for Preliminary Injunction against Church’s copying of certain materials and students’ posting infringing material on websites. Church, contending that the Injunction Order was overbroad and unclear and did not provide for “Fair Use,” filed a Motion for Dissolution of the Injunction, or In the Alternative, Modification and Clarification of the Court’s Injunction Order.Plaintiffs subsequently filed a Motion which sought to hold Church in contempt for violation of the Injunction in various particulars. November 2000 A Hearing on Plaintiffs’ Motion was held on November 8, 2000 at which time the Court declined to hold Church in contempt, but requested both parties to agree to a satisfactory New Order primarily providing, among other things, that students using the Church’s Internet Server not post infringing materials on their individual websites. December 2000 The Court has ordered a Settlement Conference in the FACIM/CIMS case to be held in Louisville on January 17 although FACIM’s attorneys have asked for a delay in the conference pending completion of an initial round of discovery. No date for a Settlement Conference has been set. January 2001 Websites of students who desire to use the Church’s Server for their websites are hereafter modified along “fair use” lines, as of January, 2001, and plaintiffs then approve such websites as not being infringing. Spring 2001 Church continues to gather evidence and has taken depositions in North Carolina, California and New York in support of its defense that the Course was circulated without copyright notice prior to its being filed for copyright, thus injecting it into the public domain. Further depositions are scheduled in March in NY. Summer 2001 The parties have agreed, subject to the Court’s approval, that the trial will consist only of the issue of the Validity of the Copyright, based on Church’s prior publication defense. Trial of the validity of plaintiffs’ trade and service marks registrations would then occur only after a determination of whether or not plaintiffs have a valid copyright. Either party could, of course, appeal the Court’s decision in that regard. The case will be held before a Jury, perhaps as early as this Fall. Summer 2001 FACIM limits “Fair Use” of ACIM to just 300 words in new five page copyright policy. October 2003 Judge Sweet invalidates ACIM copyright with cost to defendant.